We posted on March 6 about Mandatory Back-Up Cameras: Worth the Cost? It seems that Transportation Secretary Ray LaHood has been getting a lot of criticism for his delay in acting on the proposal. 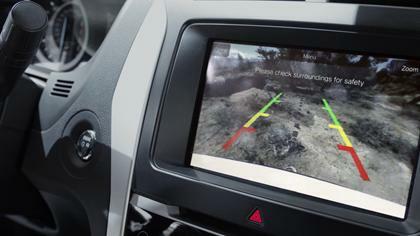 The Tampa Bay Times has an editorial pointing out that the cost of backup cameras ranges from $58 to $203 per car (in our post, we only had data about the higher-end dollar figure). It’s unclear exactly why the delay, but Drive On knows there has been some disagreement on how long it should take for the backup camera image to pop up on the viewing screen after the driver shifts into reverse. NHTSA wanted no longer than two seconds; some automakers argued for three seconds. Under the extension, we now must wait to about April 13, 2012, the new deadline requested by the National Highway Traffic Safety Administration (NHTSA). That is when the NHTSA wants to finalize the collection of comments on the rule. A public hearing has been set for March 23 from 9 a.m. to 3 p.m. at the media center at the Department of Transportation West Building, 1200 New Jersey Ave., SE, Washington, D.C., 20590.